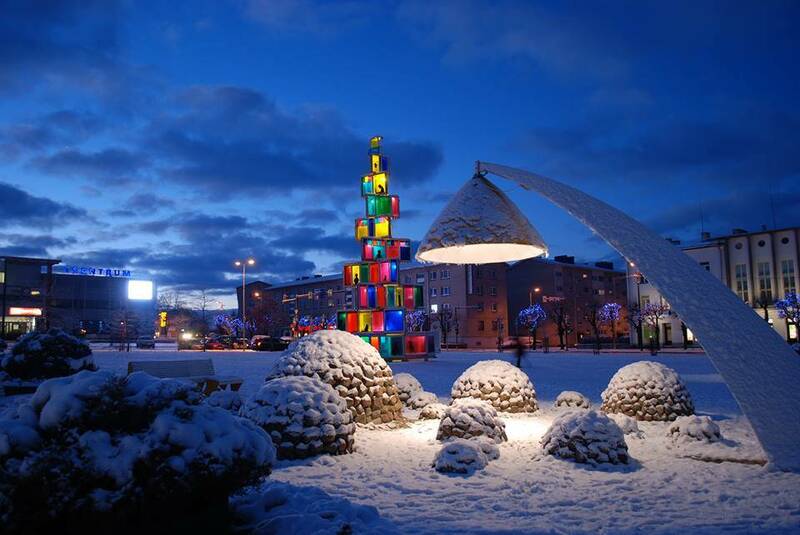 Christmas time is still the most important holiday celebrated in Estonia and while the most town councils make an effort to decorate the central squares well, the weatherman also helps along – white festive season makes it a fairyland. 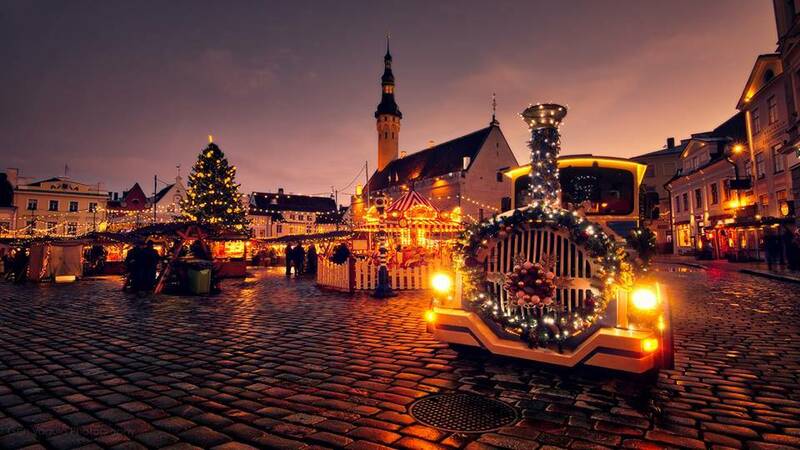 As compared with other Estonian Christmas symbols, the Christmas tree tradition is rather recent and came from the Germanic culture in the middle of the 19th century. In towns, the habit of having a Christmas tree at home was adopted by Estonians from the local German-speaking population. The tradition was spread to the countryside by the local Baltic-German aristocracy. They organised special Christmas parties with presents for their servants and children in their manor-houses. Soon the habit of having Christmas trees in schools, churches and farmhouses (together with Christmas straw) became very popular. The Christmas tree was always an evergreen fir-tree and only in a few places, where there was lack of woods (eg, on the island of Kihnu), the fir-tree was replaced by a pine. The Christmas tree was decorated in a simple manner with primitive small toys and sweets and later candles were lit on the tree. 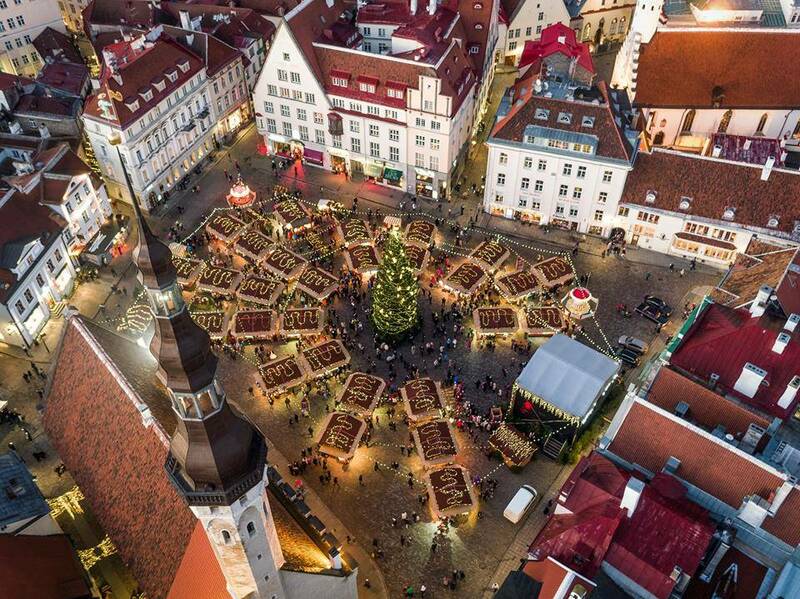 However, Estonia’s capital Tallinn is arguably the city where the tradition of erecting town square Christmas trees started. 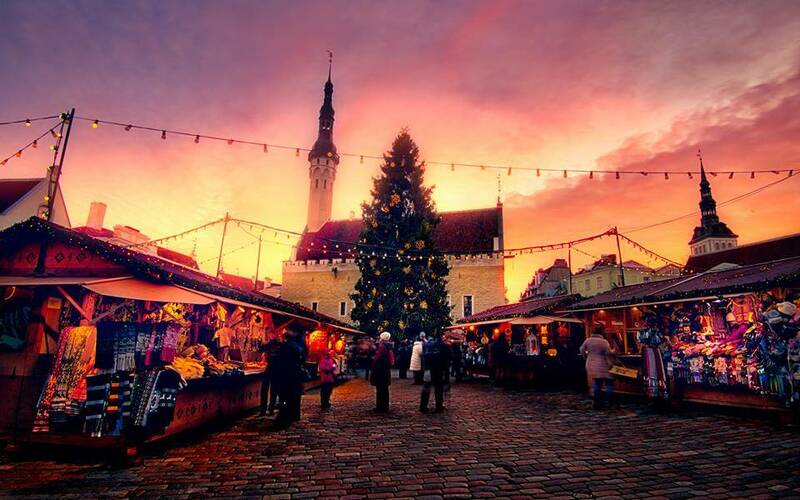 The first tree was erected on Tallinn’s Town Hall Square and was the focal point of a ritual that began in 1441, and involved unmarried merchants singing and dancing with local girls around a tree, which was then burnt. 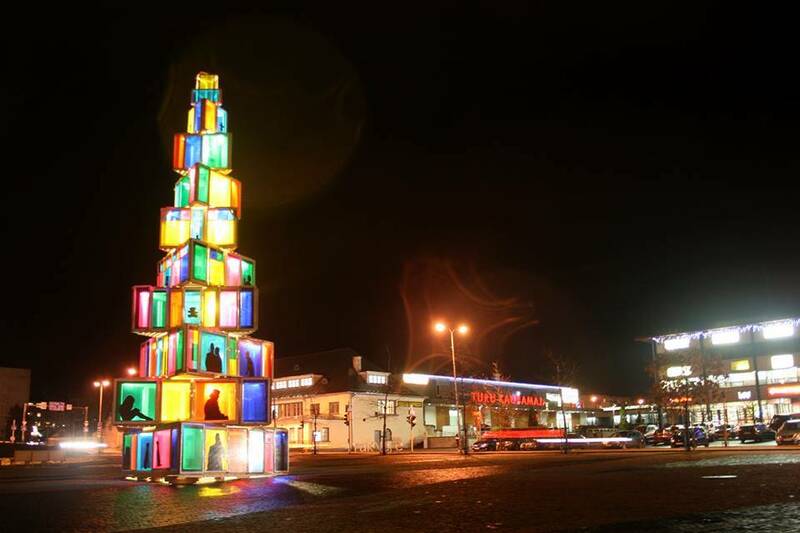 The tree was the first public Christmas tree ever put on display in Europe by the Brotherhood of Black Heads guild. For Estonians, it is important that it doesn’t rain on St John’s Eve (Jaaniõhtu, celebrated on 23 June) and that the Christmas Eve brings snow – “valged jõulud” (white Christmas) are always appreciated in Estonia. Scientists, believers and non-believers are still arguing whether climate change or global warming is such a big issue – but the fact is that this year, Estonia has seen some of the warmest winters in living memory. 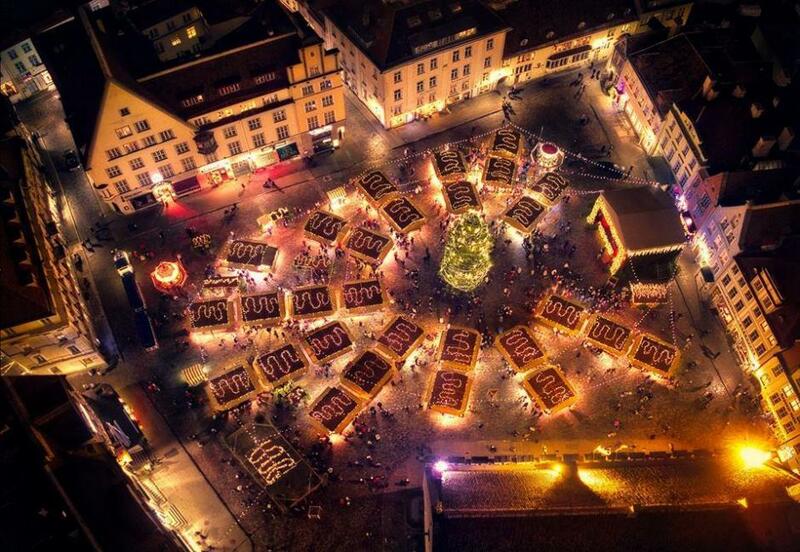 The country didn’t see white Christmas this year, but the town squares, with their Christmas trees, markets and decorations were ready to welcome the festive spirit nevertheless.